The 19th Annual Capital Link Invest in Greece Forum will take place at the Metropolitan Club in New York City on Monday, December 11, 2017. This is an International Summit about Greece in New York organized in cooperation with the New York Stock Exchange and major global investment banks. The Forum will feature government and business leaders from Greece, Europe and the United States, and top executives from the investment, financial and business communities. The timing for this Forum is optimal. After years of recession, Greece is slowly returning to a period of economic growth and aims to position itself as an attractive investment and business destination. This Forum will provide the audience with a unique blend of informational, marketing and networking opportunities. December mark’s the 19 year milestone of Capital Link’s commitment to raising awareness about Greece as an investment destination, to a wider investor universe. The Forum is organized in cooperation with the New York Stock Exchange and major global investment banks: Citi, BNP Paribas, Credit Suisse, Goldman Sachs, UBS, and the Greek Investment Bank Axia Ventures Group Ltd. The Ambassador of Greece to the USA, Hon. Haris Lalacos will provide the opening remarks to the Forum. The Ambassador of the United States in Greece, Hon. Geoffrey R. Pyatt will provide his remarks on “Energy & Geopolitics: The New Landscape”. • Is re-industrialization a growth option for Greece? The Forum concludes with a dinner at the Harvard Club and a dialogue between business executives & government leaders of Greece and the United States. 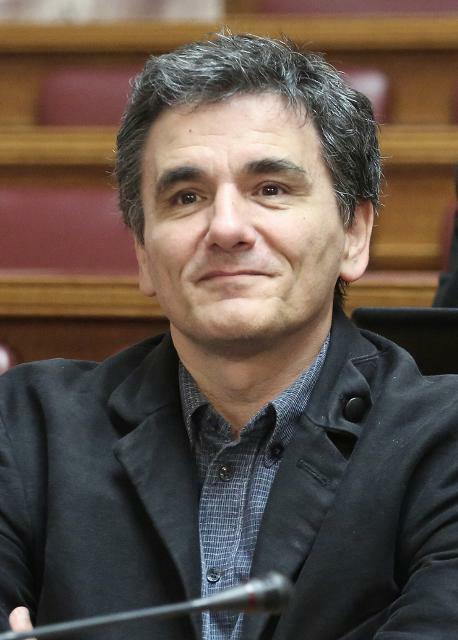 for his outstanding contribution to Greece. 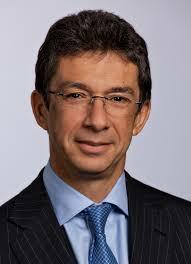 Philip Morris has a significant involvement and impact on the Greek economy through its participation in Papastratos. Philip Morris’ investments in Greece since 2003 approximate 700 million Euros. Furthermore, the recently announced investment for the manufacture of IQOS in Greece and the global distribution is another vote of confidence to the Greek economy which helps enhance the image of Greece as a business destination within the global investment community. 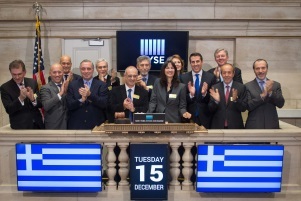 On Tuesday, December 12th, 2017, we will celebrate "Greek Day at the New York Stock Exchange" where the Greek Delegation, Greek companies listed on the New York Stock Exchange and companies which participated in the forum will ring the Closing Bell at the New York Stock Exchange, an event of unique visibility throughout the world. The event will be broadcast live on major news stations in the United States and abroad to an audience of millions of viewers worldwide.